Two years ago, Mikayla struggled with poor self-image and low self-esteem. Today, she’s a role model and an inspiration to others, including her best friend, who is now following in her footsteps. 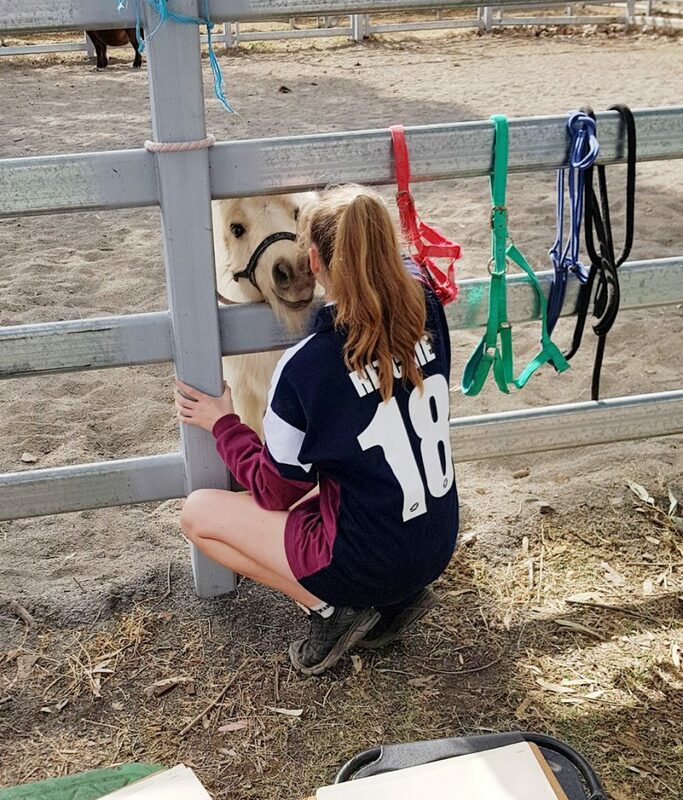 Behind Mikayla’s massive transformation has been the loving support of her school chaplain, Erin, and her team of equine friends. You helped make that possible. 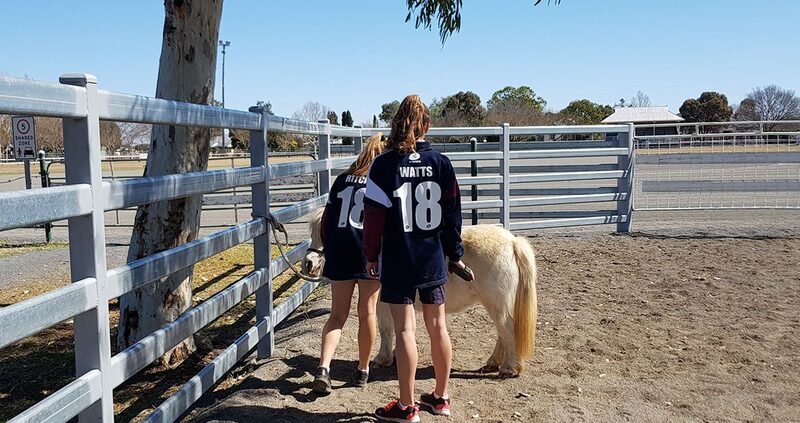 Allora P-10 State School chaplain, Erin Wilson, runs Mane Matters, a horse program that focusses on the social, emotional and spiritual wellbeing of students from diverse backgrounds. 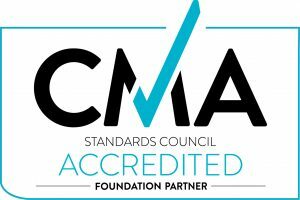 “We’ve worked with young people with major behavioural disorders, some with backgrounds of abuse, and others who have autism. We’ve had both bullies and the bullied, and young people who are grappling with who they are and their place in the world,” Chappy Erin says. Since joining the program, Mikayla has made huge strides in her confidence and overall sense of wellbeing – and her love of horses. “I’m more confident getting up in front of people now. I’ve learned how to have a relationship based on mutual respect. It’s such an amazing feeling when you connect with a horse that chooses to work with you. Chappy Erin calls it a heart-to-heart moment,” Mikayla says. – a chance to build confidence, trust, and self-esteem. For Mikalya, there’s one horse in particular that she’s connected with. “Fuggles is my favourite. I’ve been involved in her training and rehabilitation from previous bad experiences. 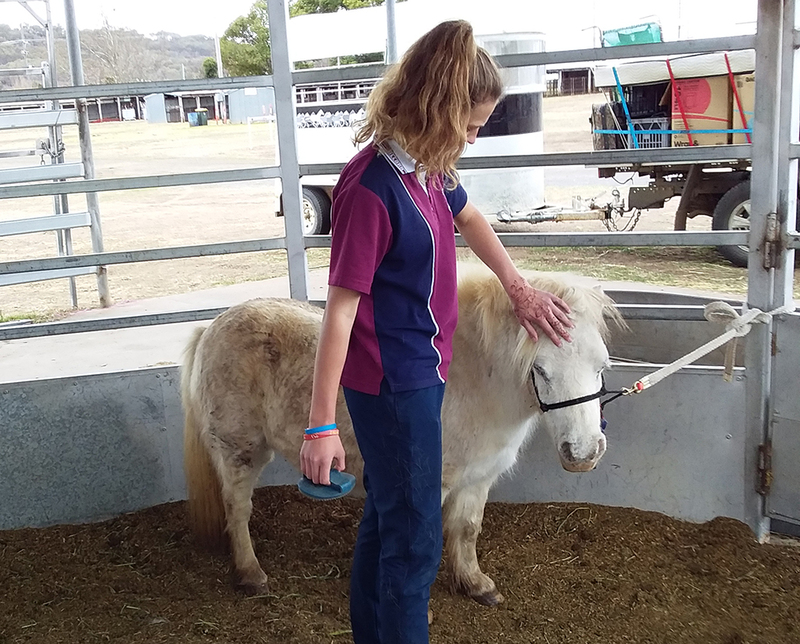 I’ve loved seeing her transform from a scared, antisocial pony to now being able to trust people,” says Mikayla. Mane Matters is also about supporting young people to make meaningful connections with the horses – the benefits of which flow both ways. “Fuggles was one of our rescue ponies with a background of trauma and we never thought she’d be a ‘program pony’ at all. But now she’s one of our best,” says Erin. A big reason for this, Erin explains, is the love and support Mikayla and the other students have shown Fuggles. “Horses show us a lot about ourselves. They can act like a mirror for what we’re feeling and how we’re behaving,” she says. Chappy Erin has seen many young people start the program with no self-confidence. But before long, they find their courage and begin to flourish. “It’s about getting them to remain calm and be gentle with the horses. When the children are calm, the horses respond. It’s like that verse in the Bible that says, ‘Be still and know that I am God’. It’s in those calm and quiet times that we make those special connections,” she says. Joining the Mane Matters program is not for the faint-hearted. There’s a lot of hard work involved and each student is expected to roll up their sleeves to help out. Mikalya is one who has risen to the challenge and is now mentoring others. “I’ve seen a girl grow in confidence. I’ve seen her develop leadership skills and she’s really stepped into that mentoring role. It’s so encouraging to see,” says Chappy Erin. Mikalya’s best friend, Sam, agrees. “I decided to do this program after seeing the change in Mikayla’s life. I wanted what she had,” says Sam. Your support is keeping chaplains like Erin in schools across Queensland. To continue this great work, visit suqld.org.au/donate. To learn more about Chappy Erin’s Mane Matters program, check out the Facebook page. Wow that is so inspiring! Love that the girls have seen growth in the ponies that really parallels what’s happened in their own lives!! !